If you want to play an ongoing game of chess AND class up your living space, this is the way to do it. The Vertical Chess Set will set you back $300, but could be worth it if you’re a chess aficionado and perhaps put it next to your many leather-bound books. For a cheaper route, grab a copy of your favorite board game, frame it, and put some sticky tape on the pieces. You know, whatever works best for you. 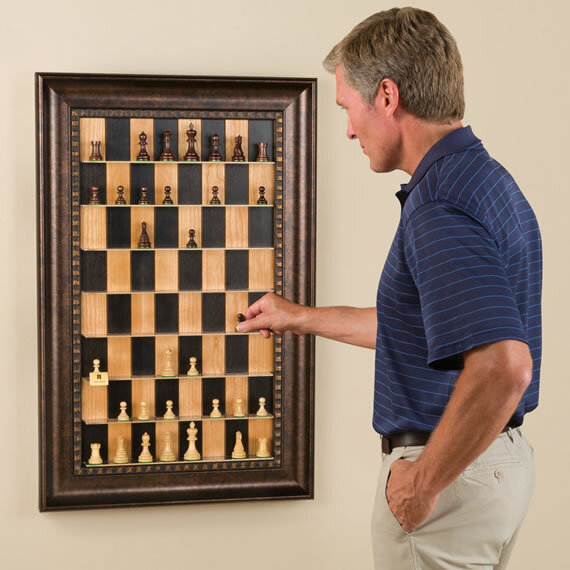 Vertical Chess Set, $300 at Hammacher Schlemmer. I love this! I plan to make my own version one day when I have a little more free time!